As a RICS qualified and regulated building consultancy, we have over 13 years professional experience in providing HomeBuyer Reports and Building Surveys. Working in and around Yorkshire, Nottinghamshire and Lincolnshire, we cover residential, commercial and education surveying. 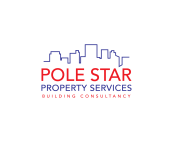 At Pole Star Property Services Ltd. We pride ourselves on providing professional, reliable and competitive service we are always happy to answer your questions or have an informal chat to discuss your requirements.